again it is the company Zveda who keeps me painting 1:72s. Cool stuff, never seen such a quality in such a small scale so far. This is the story of one honourable Daimyo, betrayed by his closest advisors and now just standing his Last Stand with the few who have honor and still are alive! !! 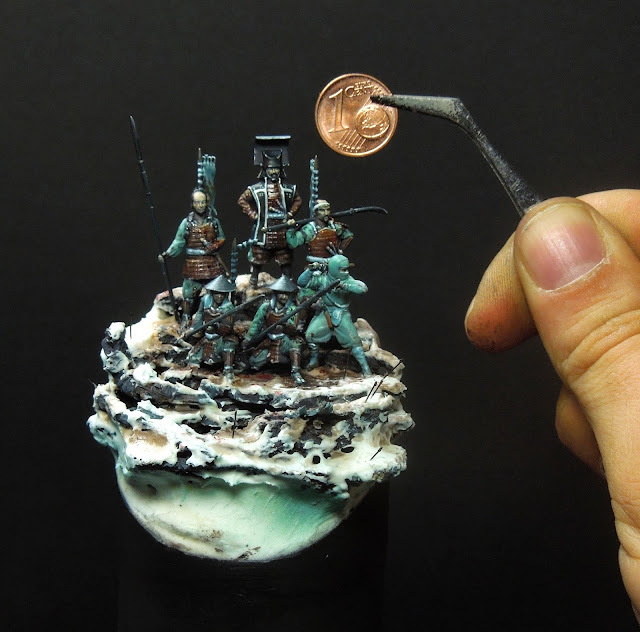 If you like to see more views on the scene or even ugly close ups of way too small figures follow this link to Putty & Paint. Judging by the exceptional helmet its Kuroda Nagamasa, one of Tokugawa Ieyasu's generals! Most splendid diorama! Very well done considering the small size! I really like this...the painting and the colour scheme is very well Chosen.